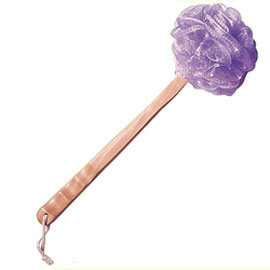 Our shower brush is identical to our scrubbie with an added wooden handle for those hard to reach areas. Large, luxurious spa quality scrubbie gently massages and exfoliates for a healthy-looking glow. Available in white only.